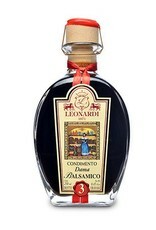 Acetaia Leonardi Dama 3 Year Balsamic - Miam! 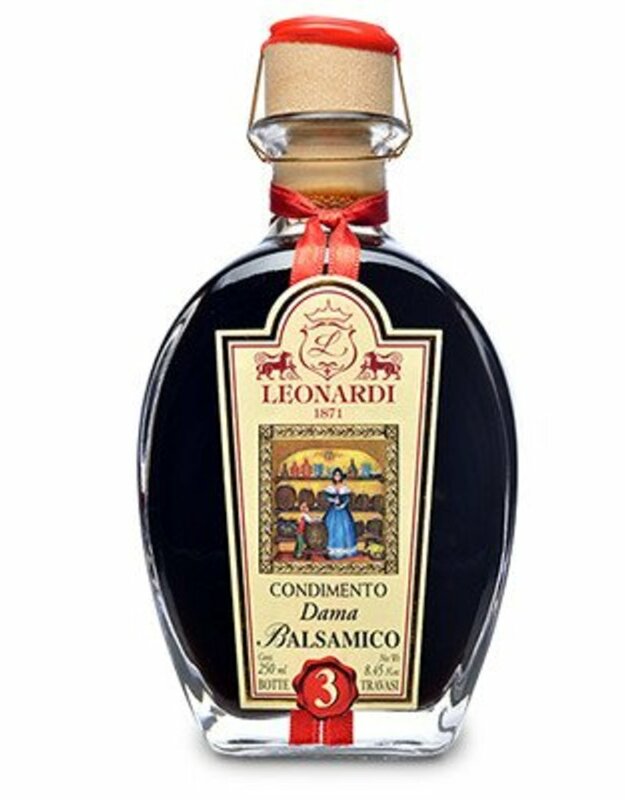 Dama (Lady) is the Leonardi's youngest Condimento Balsamico. A special selection from a batteria which has been topped up at least three times, this Balsamico is the ideal entry-level Balsamico to those seeking an upgrade from the industrial brands. Aromatic notes of dried raisins and caramel. Use in making salad dressings and marinades. Brush over grilled fruit or in deglazing a roasting pan. Cook mixed berries with sugar for a bright acidic note and serve over ice-cream.